Just hours after the United States introduced 25 percent trade tariffs on $34 billion worth of Chinese goods, Beijing has retaliated with mirror measures against American imports. “After the United States introduced the new tariffs, China's reciprocal measures also immediately took effect,” said the spokesman for the Chinese Foreign Ministry Lu Kang. He did not specify the amount or types of the US goods that will be taxed by China. China's commerce ministry earlier said the country has no choice but to fight back after the US "launched the largest trade war in economic history." 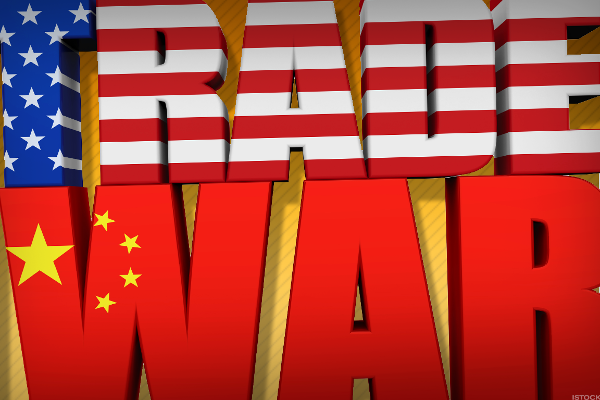 Beijing also accused Washington of breaching trade rules of the World Trade Organisation (WTO). “These tariffs violate the WTO rules and represent a typical "trade bully", posing a grave threat to the security of global industry and value chains. Moreover, it will hamper global economic recovery and trigger global market turmoil while dealing a blow to many multinationals, enterprises and ordinary consumers,” said the ministry on Friday. US tariffs of 25 percent apply to 818 Chinese imports worth $34 billion. They are the first stage in levies threatened by the Trump administration on a total of $450 billion worth of Chinese goods. US President Donald Trump told reporters on Thursday that US tariffs on an additional $16 billion in Chinese goods are set to take effect in two weeks. He added the US is ready to target an additional $200 billion, and then $300 billion more should Beijing retaliate. That would bring the total of targeted Chinese goods to potentially $550 billion which is more than the $506 billion in goods that China shipped to the US last year. Beijing earlier released a target list of $34 billion worth of imported US goods, including automobiles and agricultural products that also faced 25 percent tariffs. “China promised to not fire the first shot, but to defend national core interests and the interests of the people it has no choice but to strike back as necessary,” said the Ministry of Commerce.